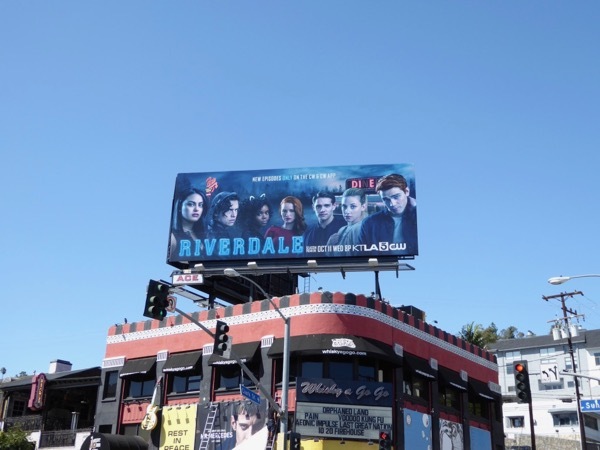 This new TV season it's not just freshman shows making their debut but also new favorites returning for sophomore seasons, like The CW's Riverdale. 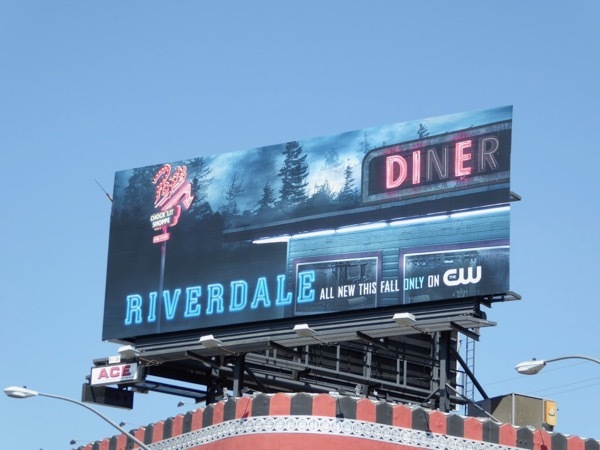 Following a first season of dark secrets and masked shooters, this edgy, subversive take on the Archie Comics characters is back with more twisty teen drama, steamy romance, returning parents and a killer on the loose. 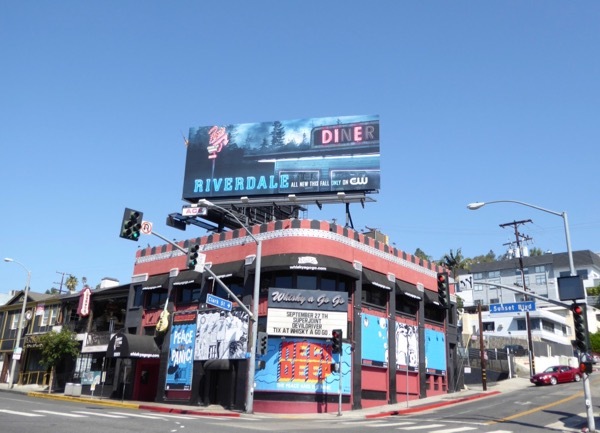 The 'Die' teaser billboard first snapped above the Sunset Strip's Whisky A Go-Go club on August 16, whilst the cast billboard was spotted in the same ad location on September 21, 2017. 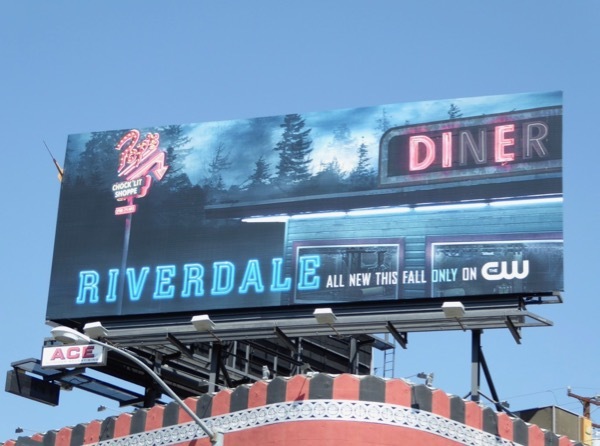 Fans of the show can also check out this special neon Riverdale season one billboard installation and these Riverdale season one costumes on display. 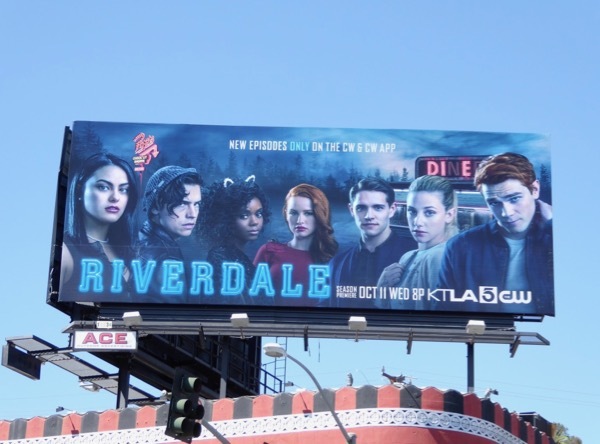 Can America's favorite redheaded quarterback, 'Archie Andrews' (played by K.J. 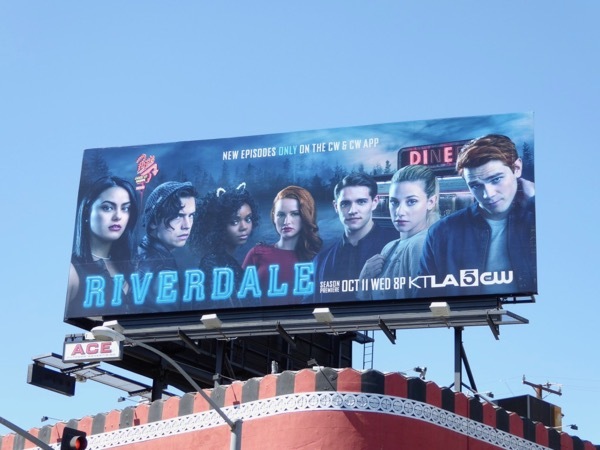 Apa), help keep his milk shake-drinking friends and family alive in the not-so-innocent small-town of Riverdale for another season, or will the Grim Reaper strike again. 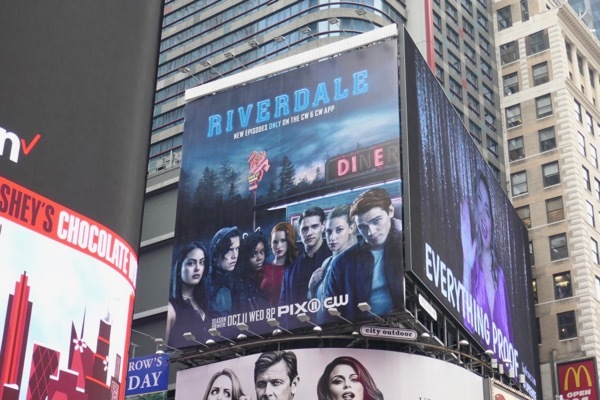 UPDATED: Here's also a season two billboard spotted high above Manhattan's Times Square on February 15, 2018.